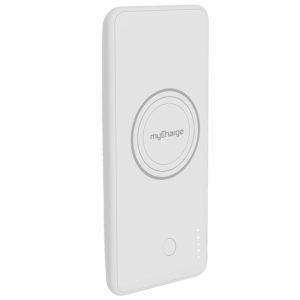 myCharge Wireless Charger Portable Power Bank is now available at Amazon.com for just $34.99 (REG $69.99) (As of 27 December 2018, 8:05 PST -Details) with $35.00 (50%) Savings and free shipping. 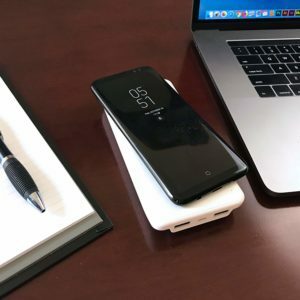 Qi WIRELESS CHARGER & USB PORTABLE CHARGER IN ONE: Extend the battery life of your Qi enabled phone with 10W of fast charge wireless power and/or via Dual USB Ports to any USB compatible devices with 10000mAh/2.4A for up to 5x extra battery. 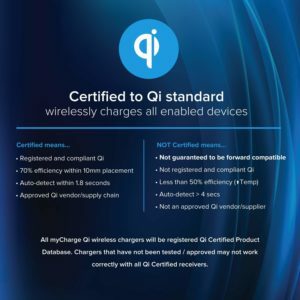 Qi CERTIFIED COMPATIBLE: Works with all Qi enabled devices (iPhone XS, iPhone XS Max, iPhone XR, iPhone X, iPhone 8, iPhone 8 Plus, Samsung Galaxy S8, S8+, Note 8, S7, S7 Edge, S6, S6 Edge, Nokia 9 and other Qi enabled devices). 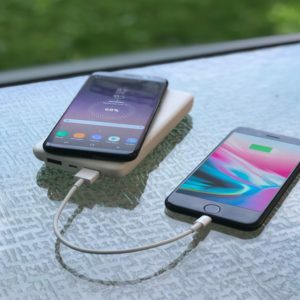 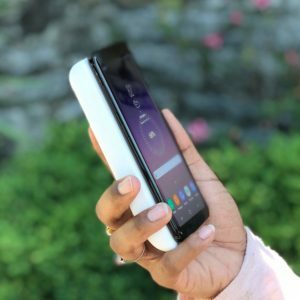 NO CORDS NEEDED: Simply place your Qi enabled smartphone directly on the wireless power bank to charge your phone wirelessly. 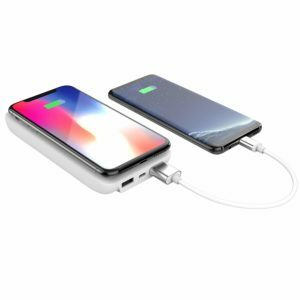 THIN PROFILE, SOFT-TOUCH FINISH & DUAL USB PORTS: Features a thin profile as to easily fit inside a small bag or purse and a soft-touch finish with Dual USB ports. 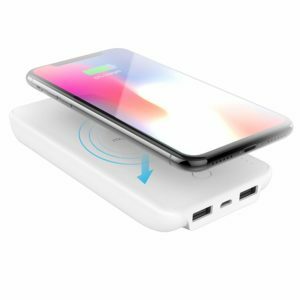 The myCharge Unplugged Qi Wireless Charger 10W/2.4A Portable Charger Power Bank 10000mAh with Dual USB Ports is compatible with any Qi enabled device.